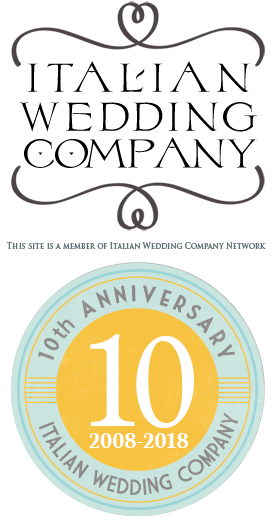 I recently met Valentina Lombardi of ILW Team and had a wonderful chat about the wedding events industry in the Italian Lakes area, and learned a bit about Wedding Planning. Having a Wedding Planner can do wonders for your wedding! For the busy couple that doesn’t have the time, or needs to travel a lot, a wedding coordinator can provide a sense of security and ease. Wedding planners are professionals at making your special day memorable and stress free. They know the ins and the outs of planning a wedding! 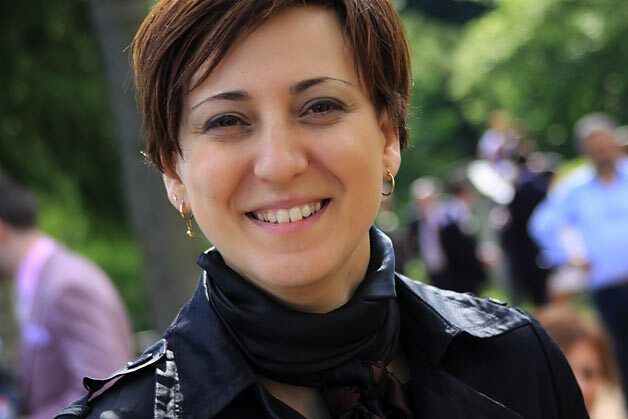 Check out Valentina’s interview: Valentina is truly wonderful, and she gives us a lot of insight into her wonderful job! 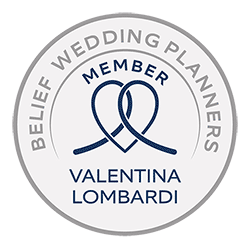 Valentina, what made you decide to become a wedding planner and how did you become one? I decided to be a wedding planner a lot of time ago. I’ve worked as event planner in a US software company for years. I love helping couples to build their own event following their style and passions. Working together with them to build the perfect day! I try to interpreter couple tastes in order to suggest them the best solutions for them. I really do not want to force them into a decision…I’d rather prefer to be a consultant for them. What’s your idea of an excellent/lovely marriage proposal? Getting married on Lake Orta…. the perfect venue for a perfect day. Cozy, romantic and charming as Italy can be! Favorite thing to do outside event planning? I really do love Disney and 50s musical movies, swing music, shopping, discovery channel, traveling or relaxing with my family and I used to sing in a band…. When you travel, what is one thing you can’t live without? Almost everything….I have always heavy luggage! Mostly, a Camilleri’s book, the I-pod and cosmetics. Lake Orta for sure and a charming Winter Wedding on the top of Alps. SposiamoVi has been around for a few years, care to fill us in on a few of the trying obstacles you faced in the beginning stages? Most of all the diffidence of some Italian companies to understand this new job. But I think that now is pretty much better! Reasons why prospective clients should choose SposiamoVi first and foremost? SposiamoVi provide to clients high standards level professionals, stress relief and a professional competence that help you to organize your best day at the top. 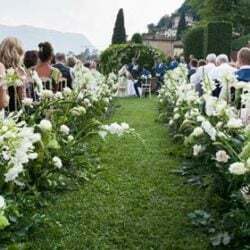 Lake Orta has been ranked as being one of the best Wedding & Honeymoon destinations in the Italian Lakes area, numerous times I believe…what would you attribute to Lake Orta’s success? It is just as people coming from abroad imagine Italy. Romantic, charming, cozy, antique, poetic and….so Italian! Any tips or advice to a soon to be bride? Just be herself and choose what she prefer without being influenced to other people but just deciding with her partner what they will love best! More grooms appear to be getting involved in the planning process. What do you think of this trend? It really seems that men are more involved in wedding planning. This is a good news! 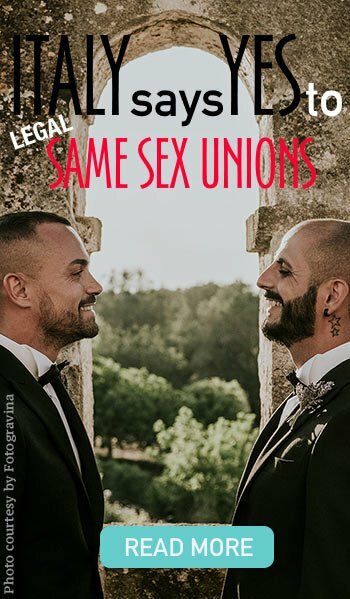 Maybe it is because they need to be involved or because they pay more attention to style and trends now….or just because they love building this big event with their brides. Anyway it is a very good news! What is your most memorable wedding event / bridal couple that you will never forget? I think I will never forget any of my bridegrooms. In their differences they will stay all in my memories. Planning such an event creates a sort of special relationship between bridegrooms and me and I’m pleased to have built those. So I really do not want to say I will remember best him or her….I will just keep in my mind every single event….At least I will try to! Yes it is! But it is also a real satisfaction!! I think is one of the few jobs where clients say “thank you”…and they really mean it! Is there a primary difference in planning for an Italian couple as opposed to say a US or UK/Ireland couple? Yes there is. Foreign couples are used to hire a consultant for every kind of service…while in Italy people don’t really understand the meaning of this job. We are a step beyond other countries. 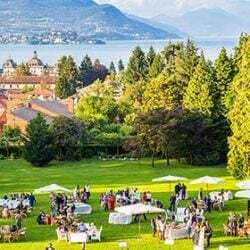 Commonly Italian people hire a wedding planner if they don’t have time to plan the event…while people coming from abroad, side of time saving, hire professionals to have good advice and they really trust the professionalism. Finally, what do you enjoy most about working with a bride and groom to plan their wedding? I love building together the event. 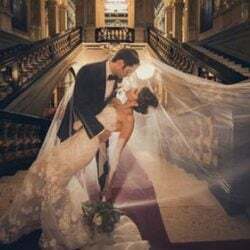 I like studying together the best solution for make bridegrooms dreams come true and seeing in their eyes their excitement about that, looking forward for the date to come! Thanks Valentina and good luck with all of your future projects! how do you deal with drunken aggressive guests during weeding? a good solution could be just throw him/her in the beautifil waters of the lakes! Your passion comes through! How fortunate to plan weddings in Italy! If you would have the occasion to come to Italy I will be very pleased to meet you! Italy is such a wonderful place! It has been an immense pleasure to work together with you and Ernesto, Valentina. You made acting as Celebrant at Villa D’Este this year all the more special and memorable and I couldn’t have been more impressed by your professionalism. The two of you are excellent with people…you make them feel relaxed and reassured. You have impeccable taste and style! On a personal note, I couldn’t have hoped to work with two more wonderful people… you are both charming, interesting and great fun. Giuseppe and I look forward to working with you as your celebrants again!